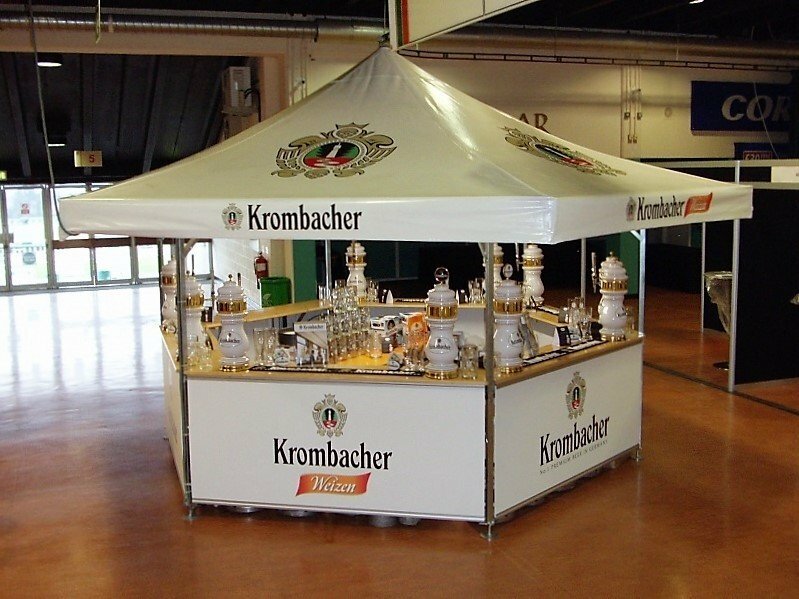 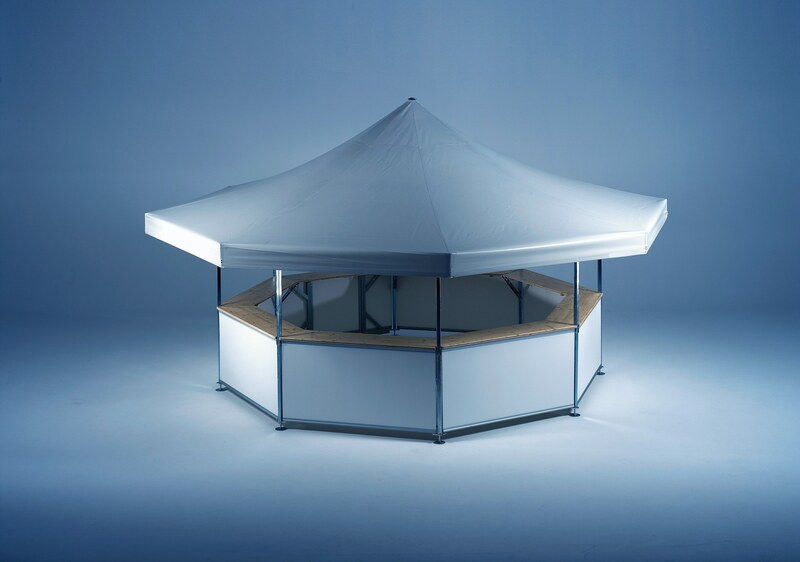 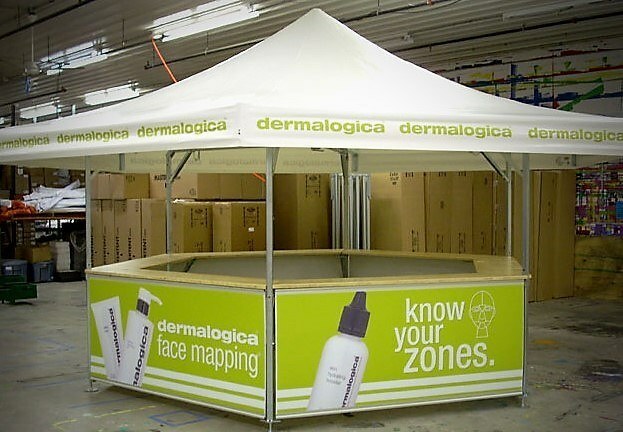 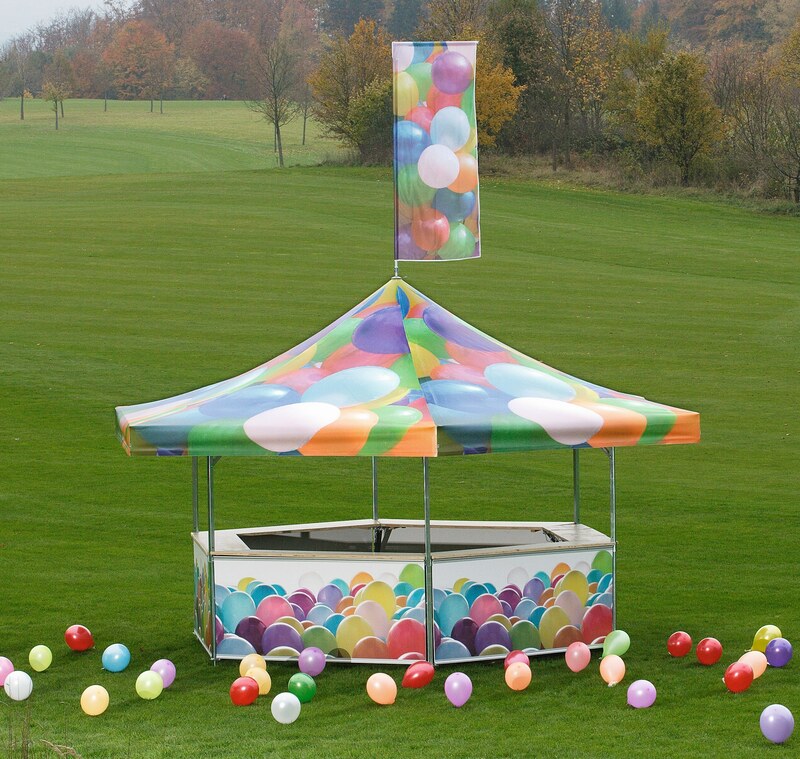 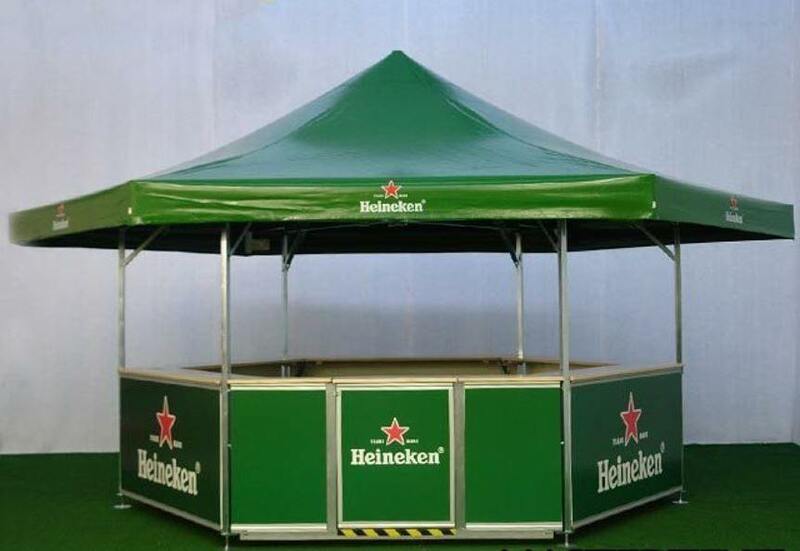 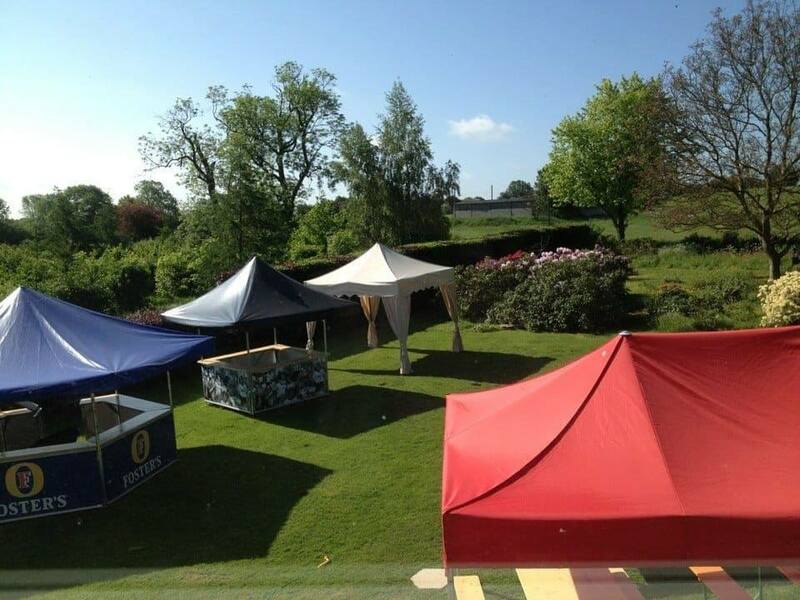 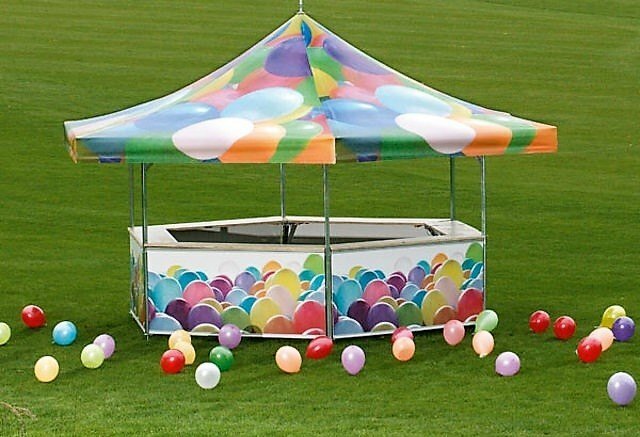 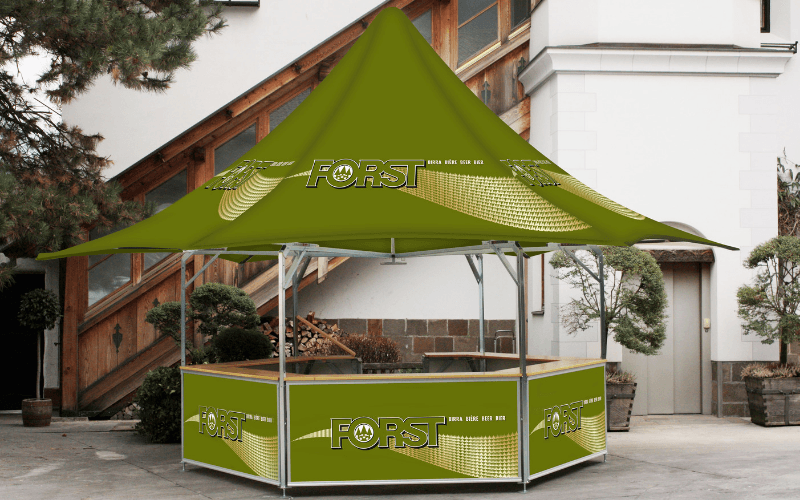 Our pavilions are a high-quality product available in 4 different styles (Star, Octagonal, Hexagonal & Square) each offering different serving capacities from 16-40 people, with counter extensions (see Accessories) available for some sizes enabling the service capacity to increase around your pavilion event bar. 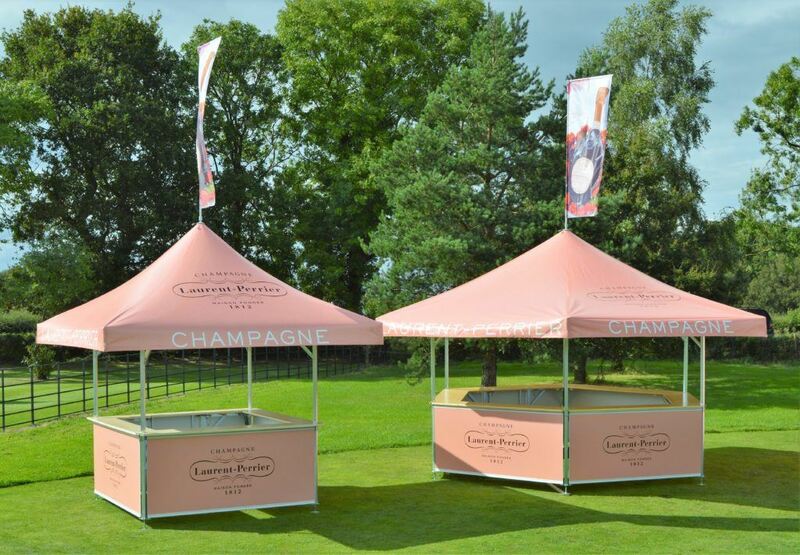 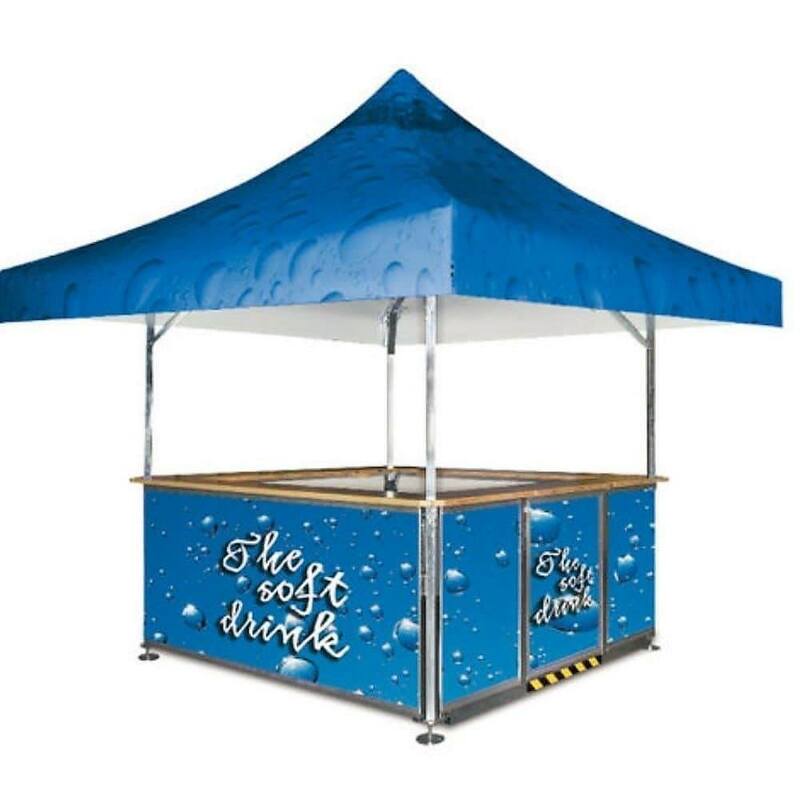 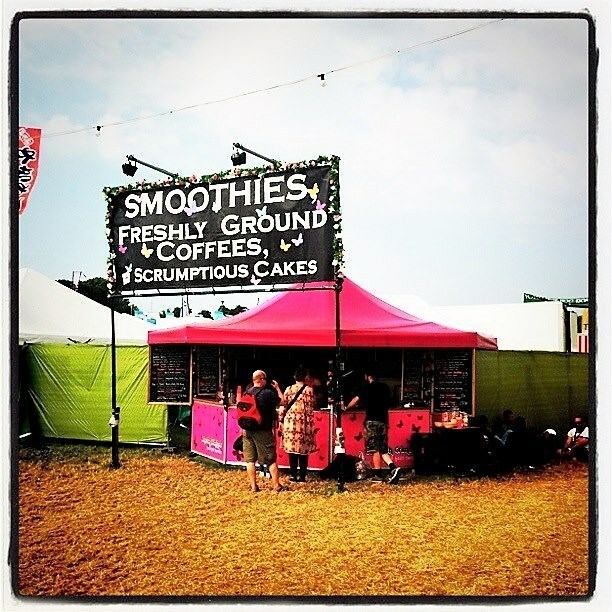 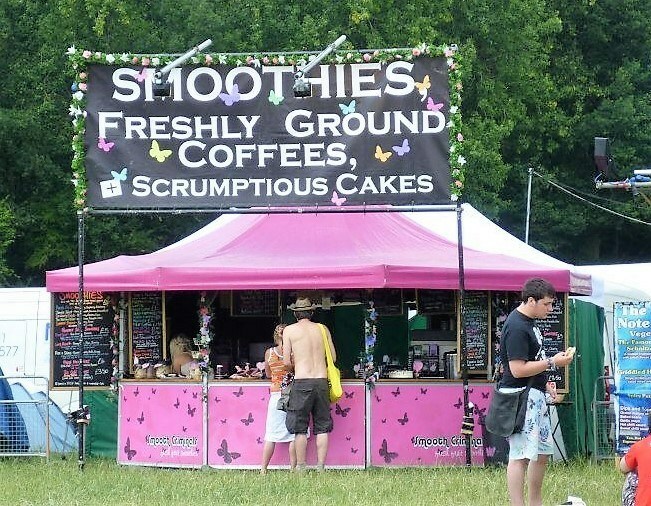 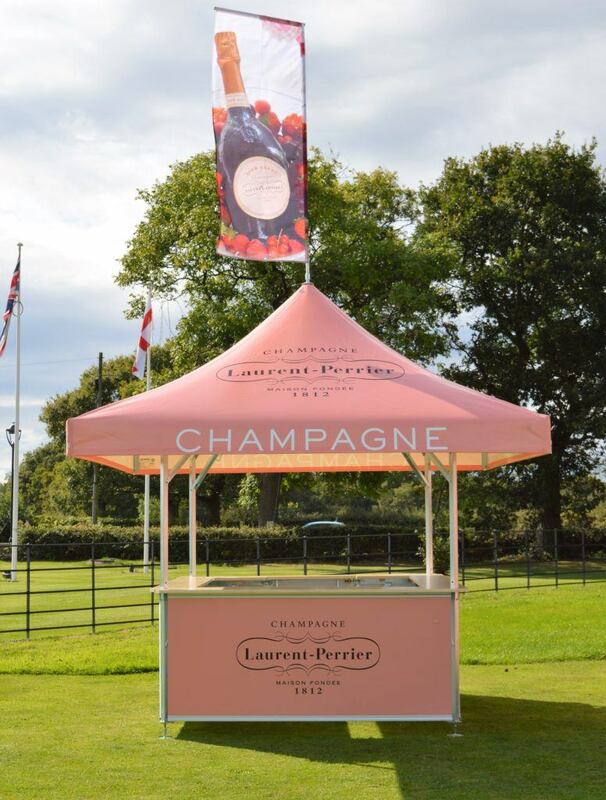 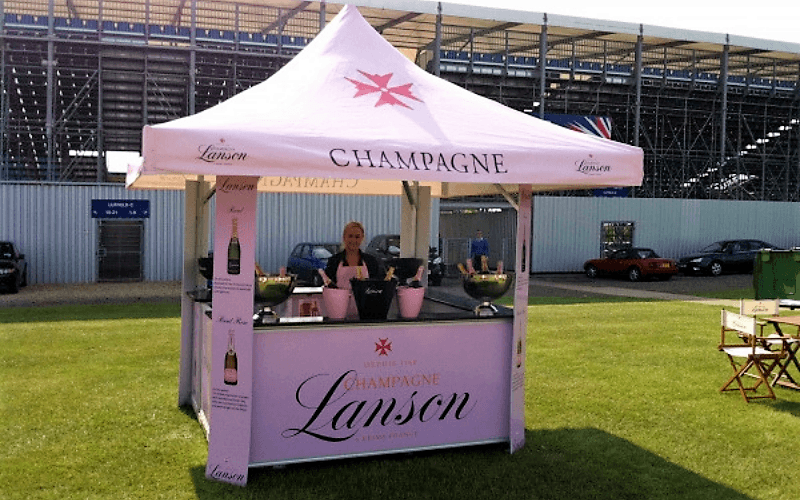 They are all ideally suited for the hospitality and events industry being suitable for a broad range of circumstances including serving as sampling stands, ticket booths, information stands, food outlets and refreshment stands for serving all manner of drinks from tea and coffee through to premium champagne brands. 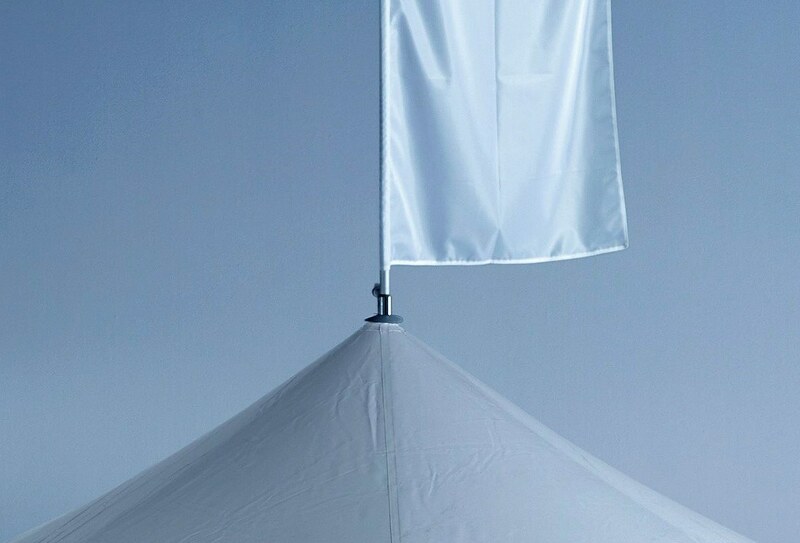 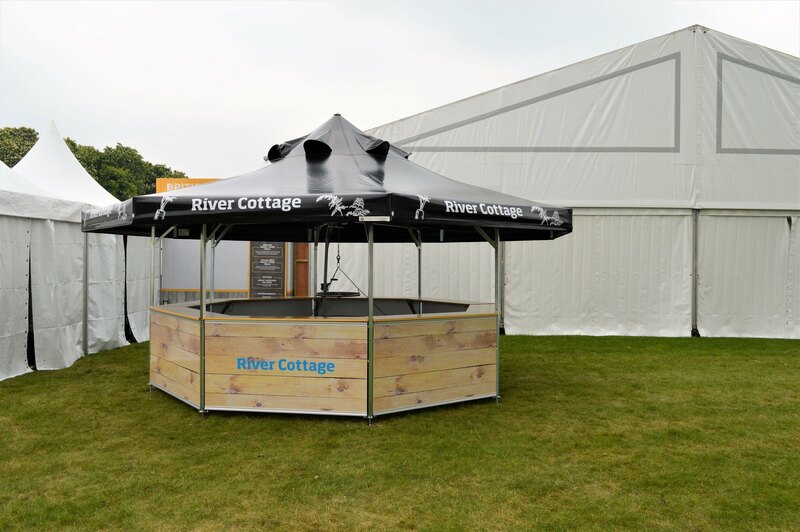 Additionally with special roof openings, primarily our Octagonal pavilion works well in combination with our Sanki Swinging Grill range creating theatre and a central showpiece at any event or hospitality venue. 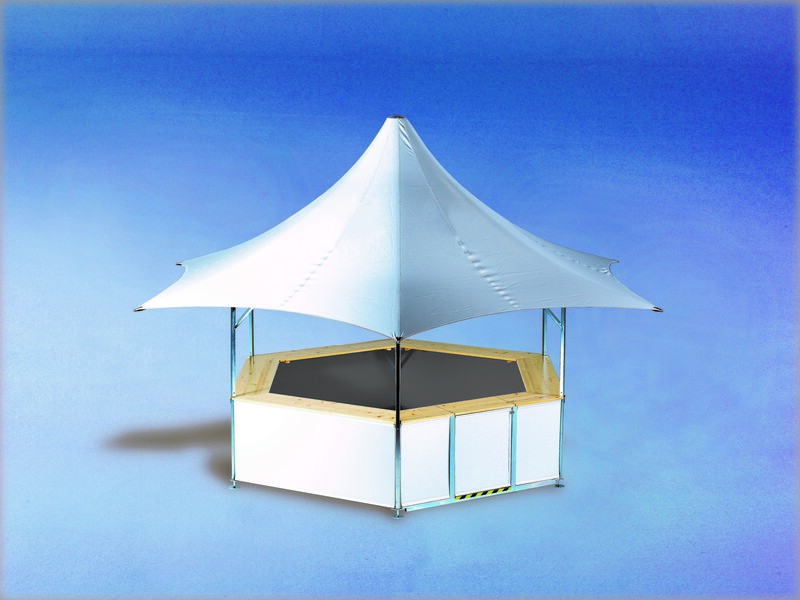 Accessories include lighting, night security panels**, counter extensions, heater and flooring. 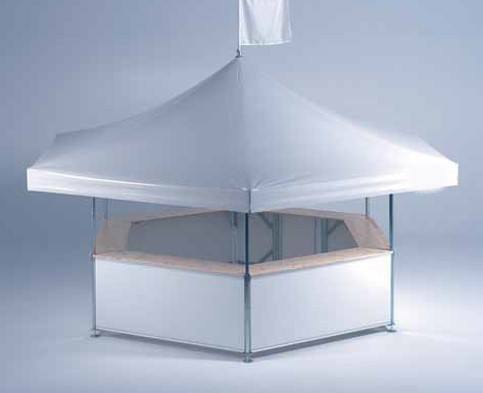 ** The lockable night panels do not serve as a burglary protection. 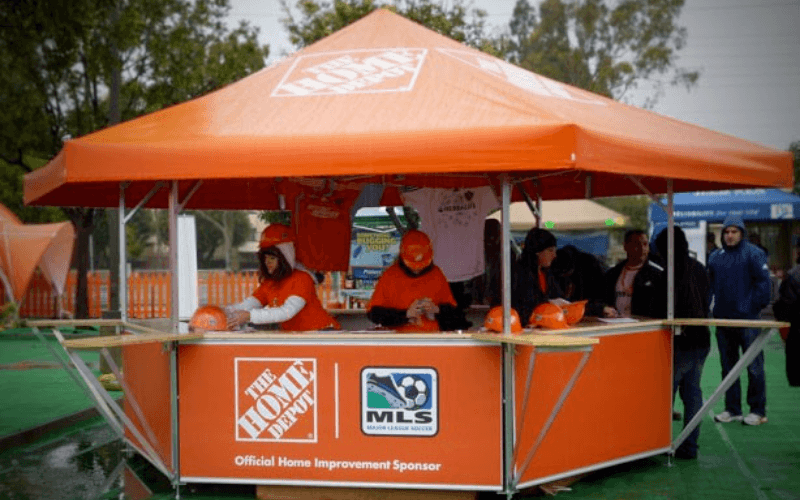 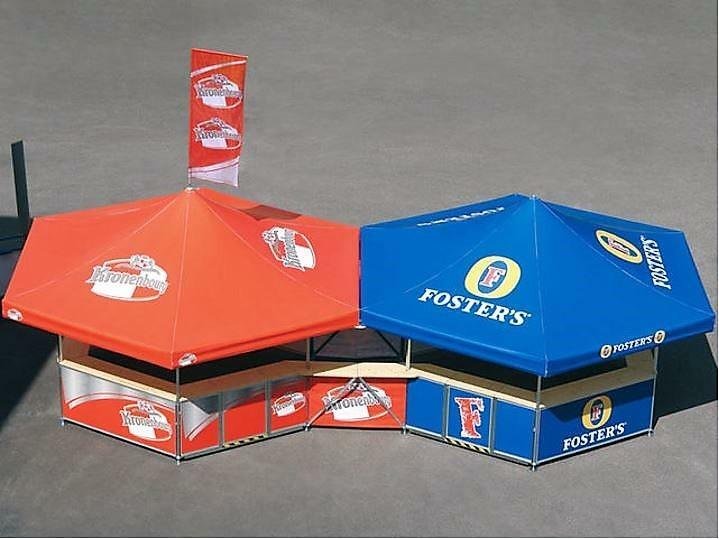 The roof and base panels can be printed with corporate branding, promotional messages etc using thermal or digital printing either fully or partially. 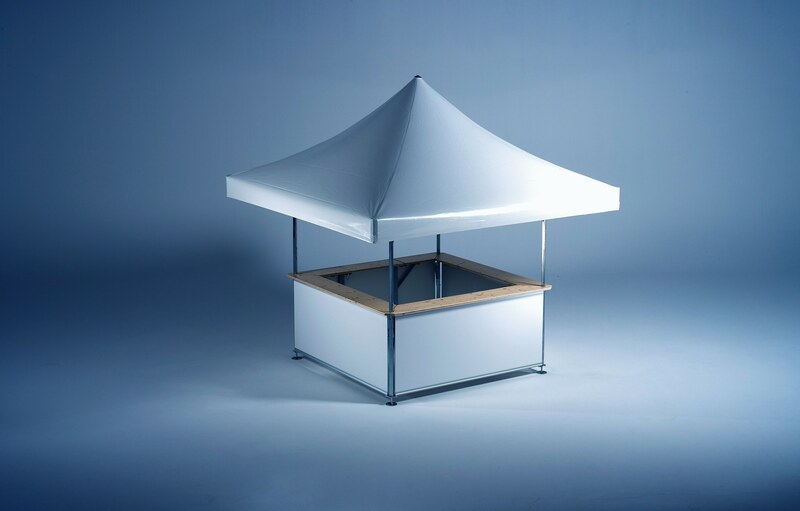 10 standard roof colours are available with other colours available on request. 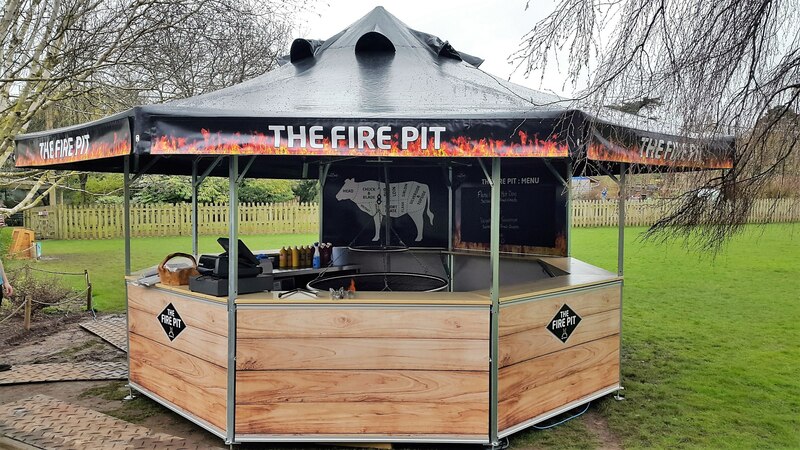 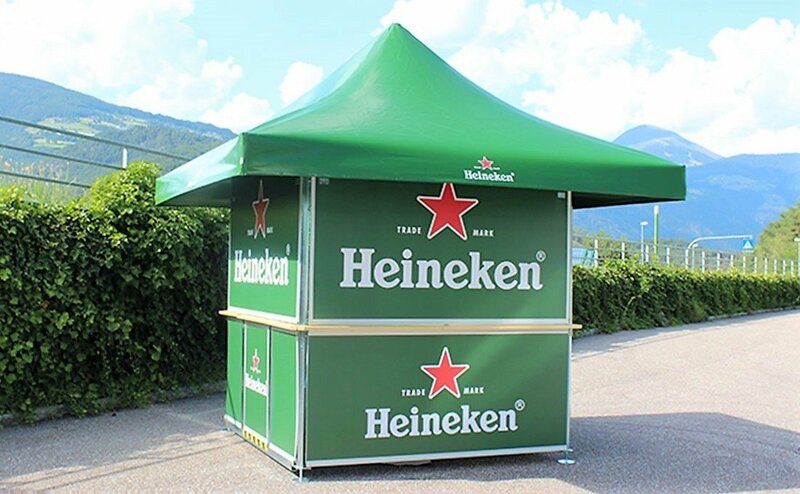 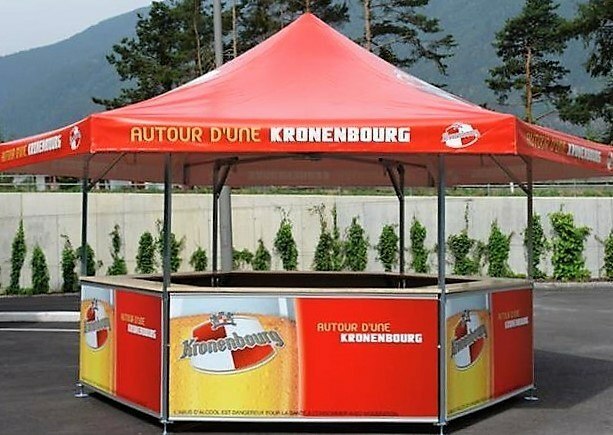 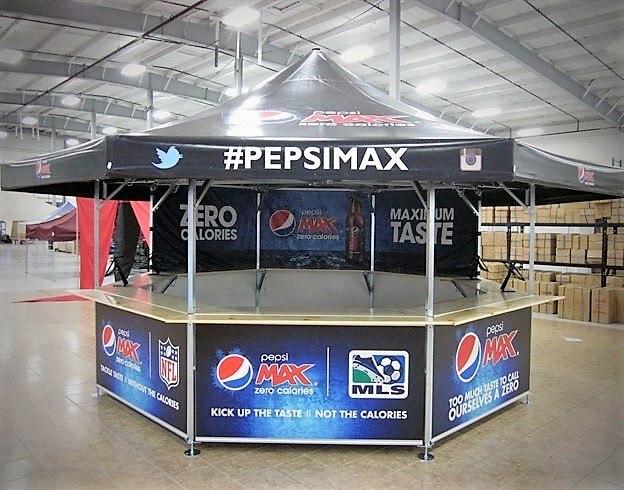 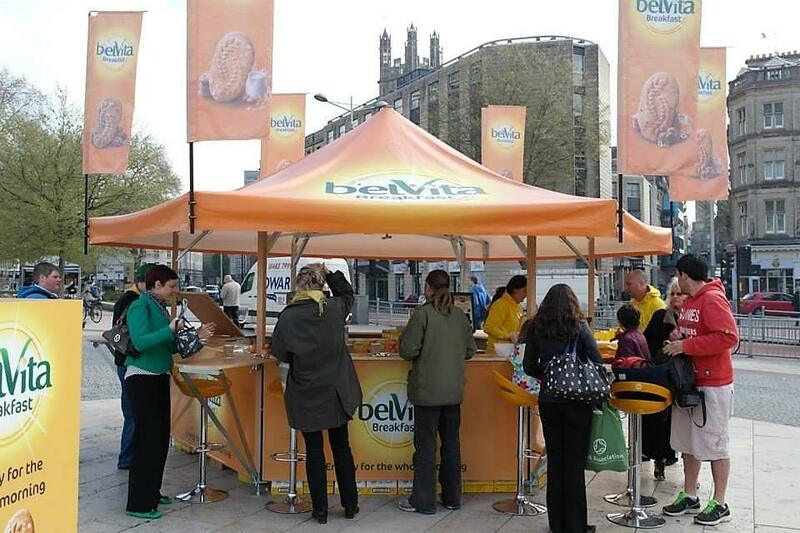 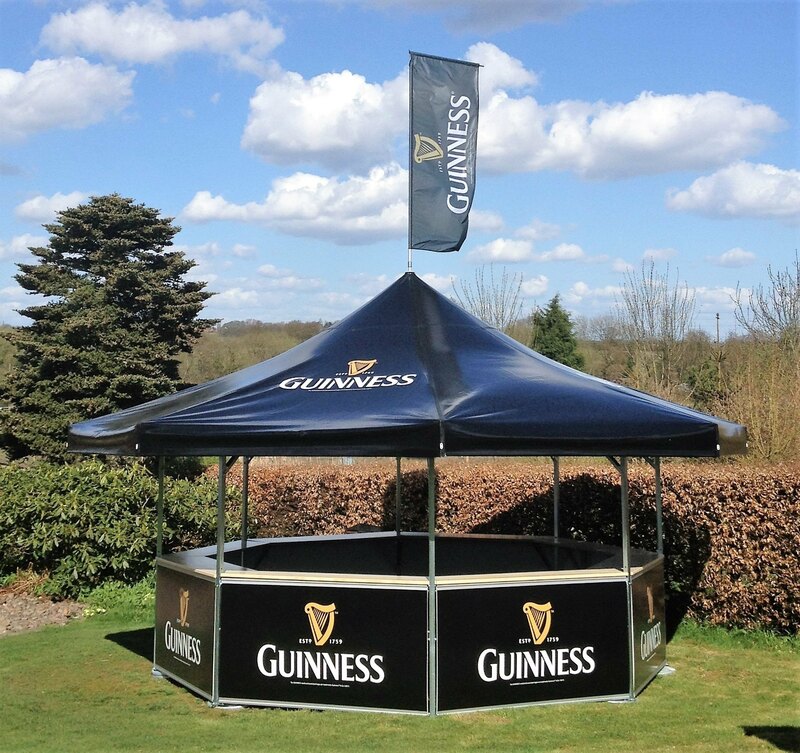 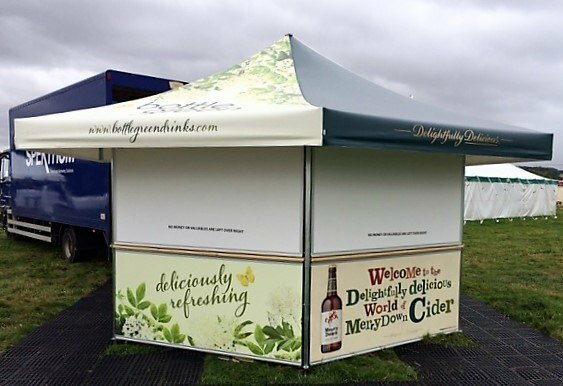 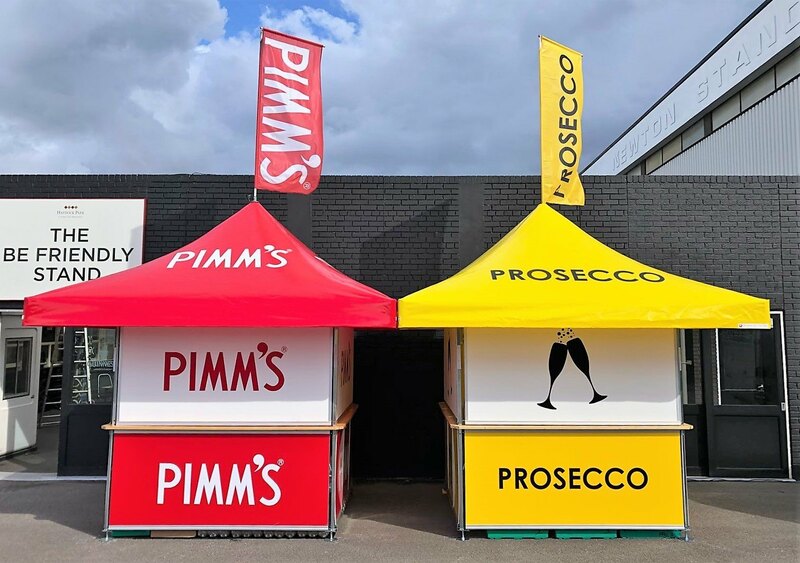 It is also possible to create a pavilion with 2 brands depending on the size of pavilion you choose as did one of our clients when they bought a hexagonal pavilion and branded it with 2 different drinks brands for use as a festival bar. 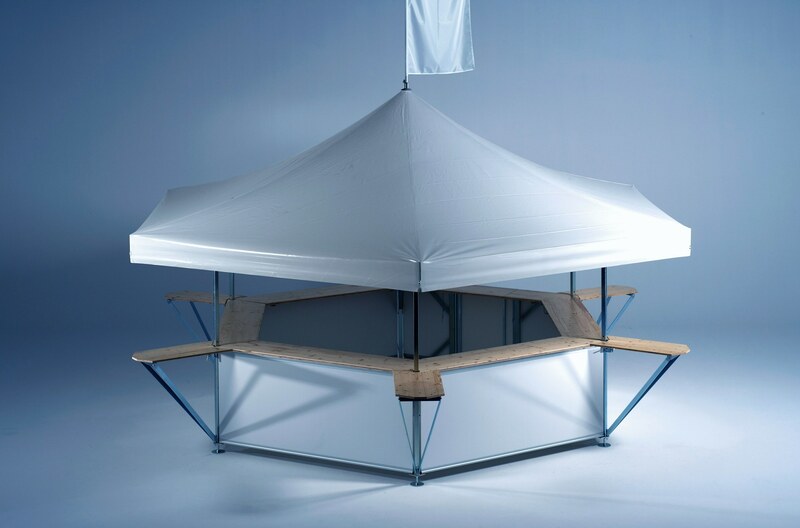 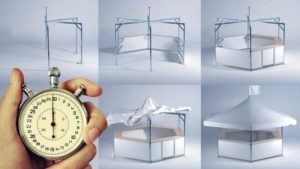 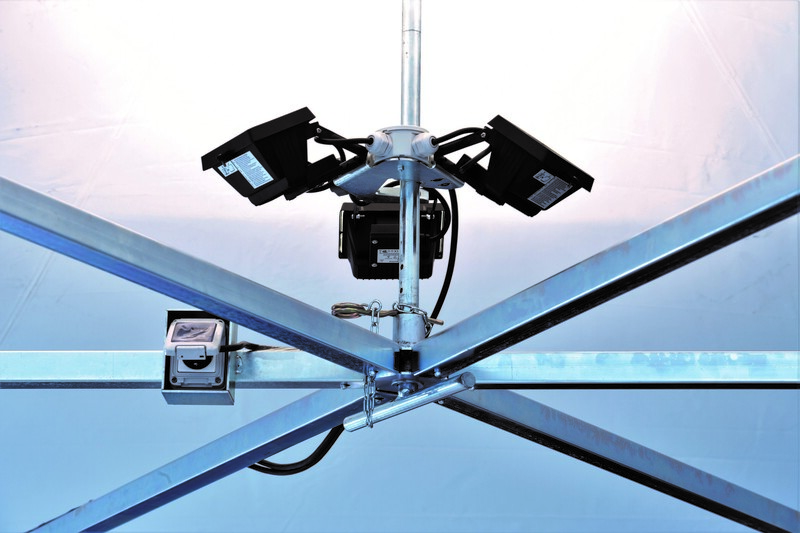 All single components of the pavilions are easily and neatly stored in the multiple transport box, which offers a clean, safe and compact storage of all components. 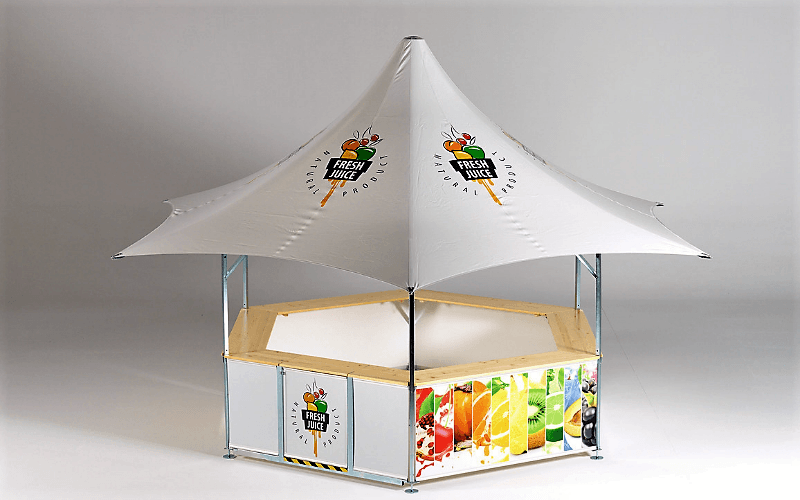 The boxes are designed to be transported as a whole with a forklift truck or alternatively can be dismantled into several elements enabling 2 people to carry them by hand. 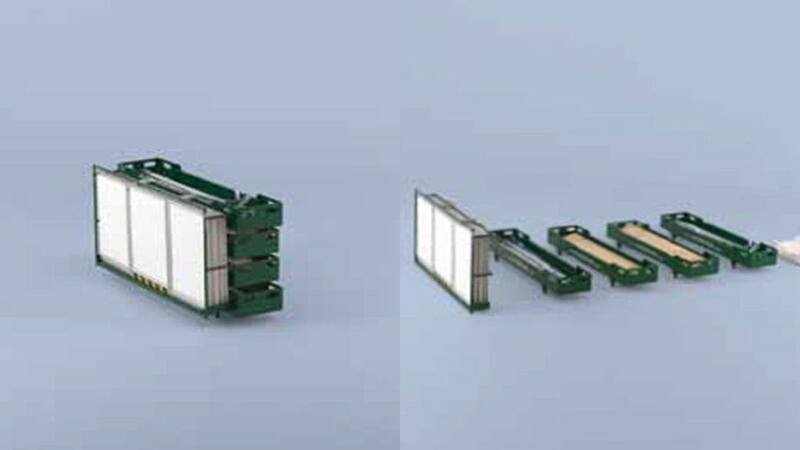 10-year availability of spare parts for the frame. 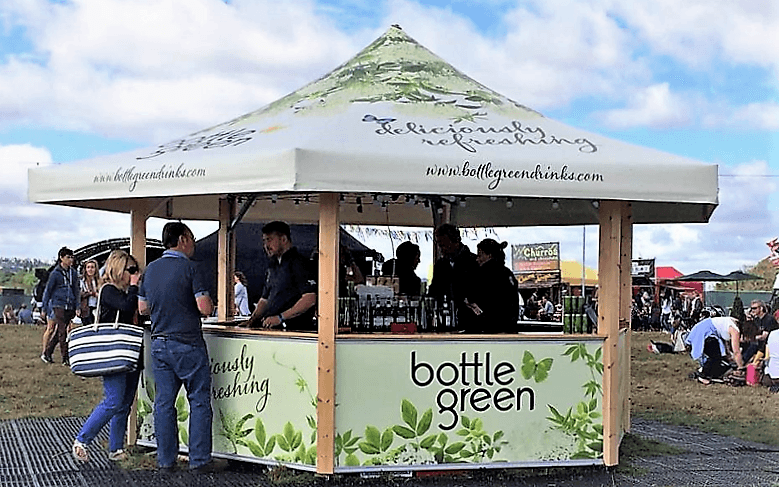 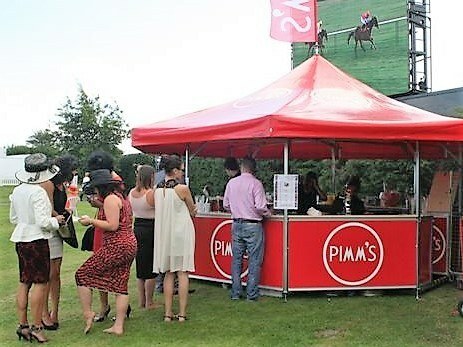 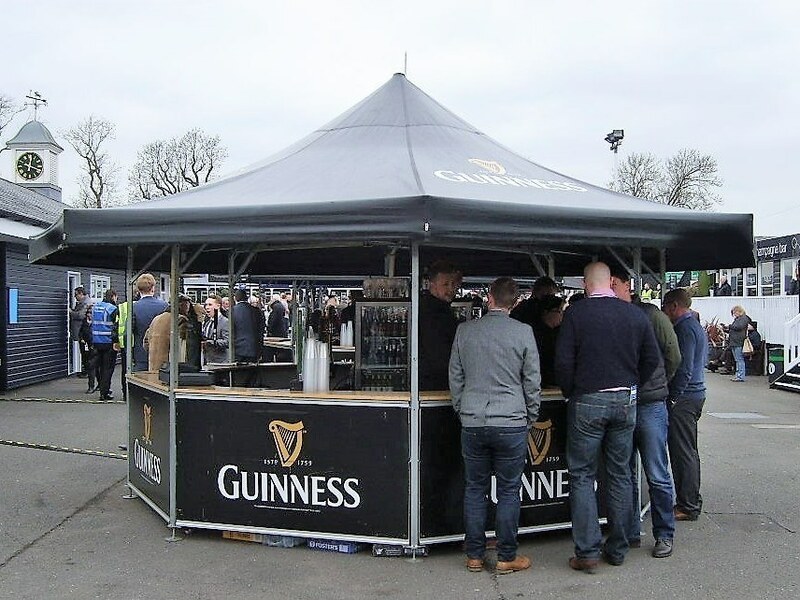 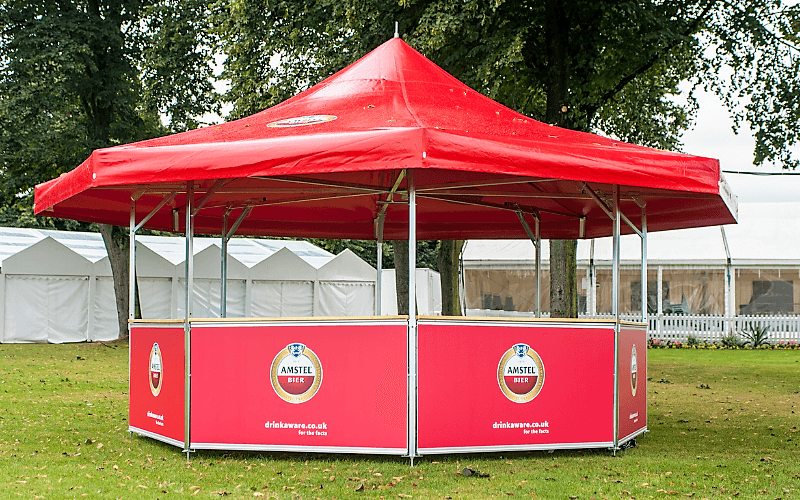 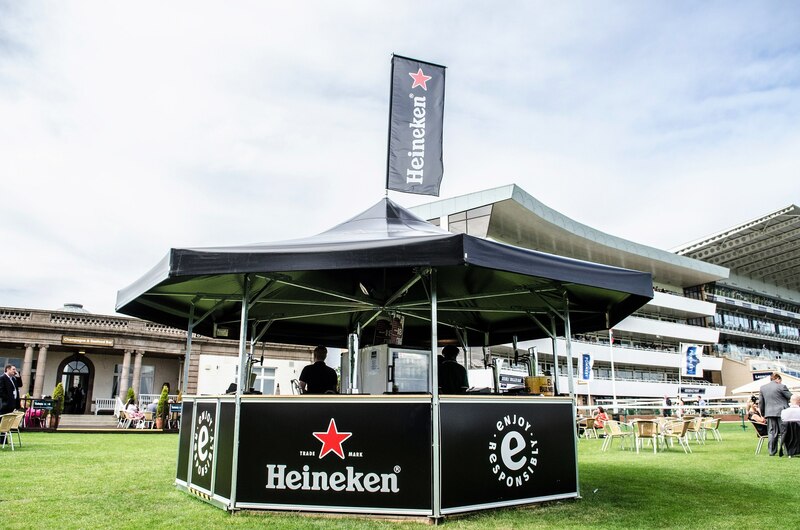 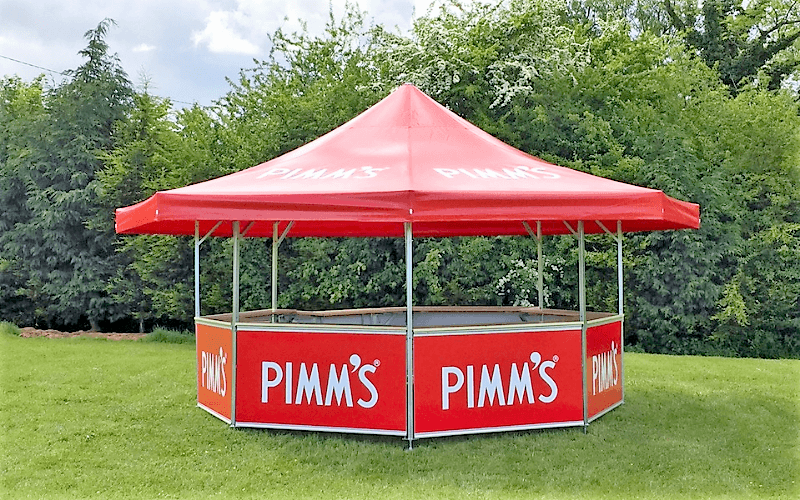 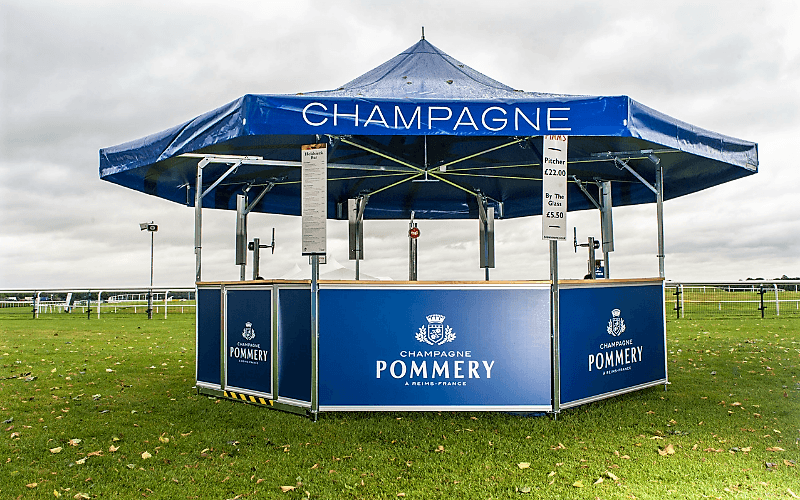 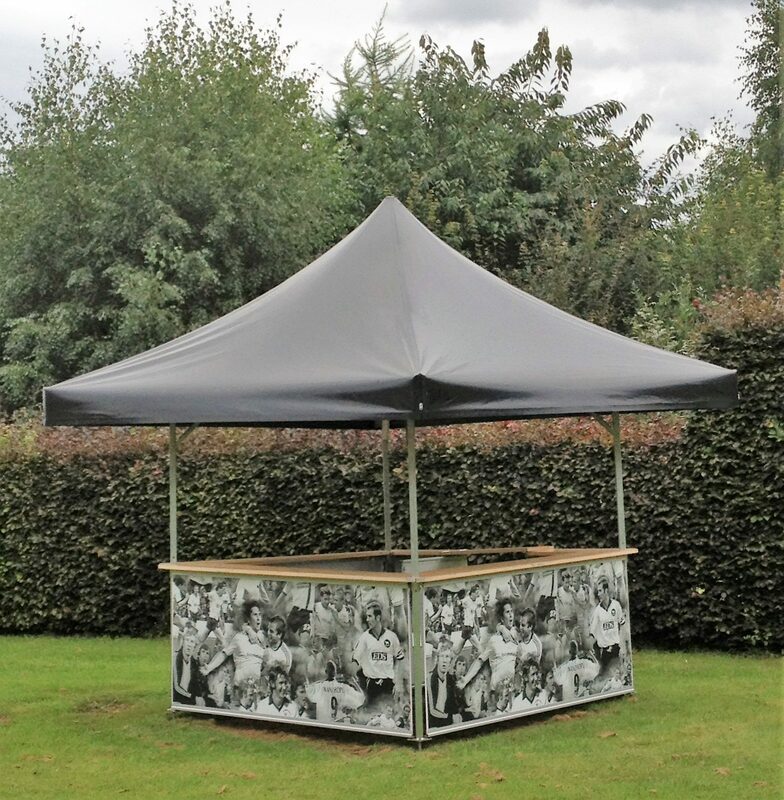 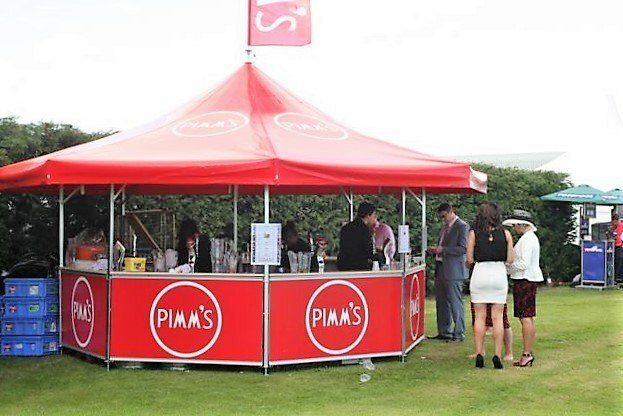 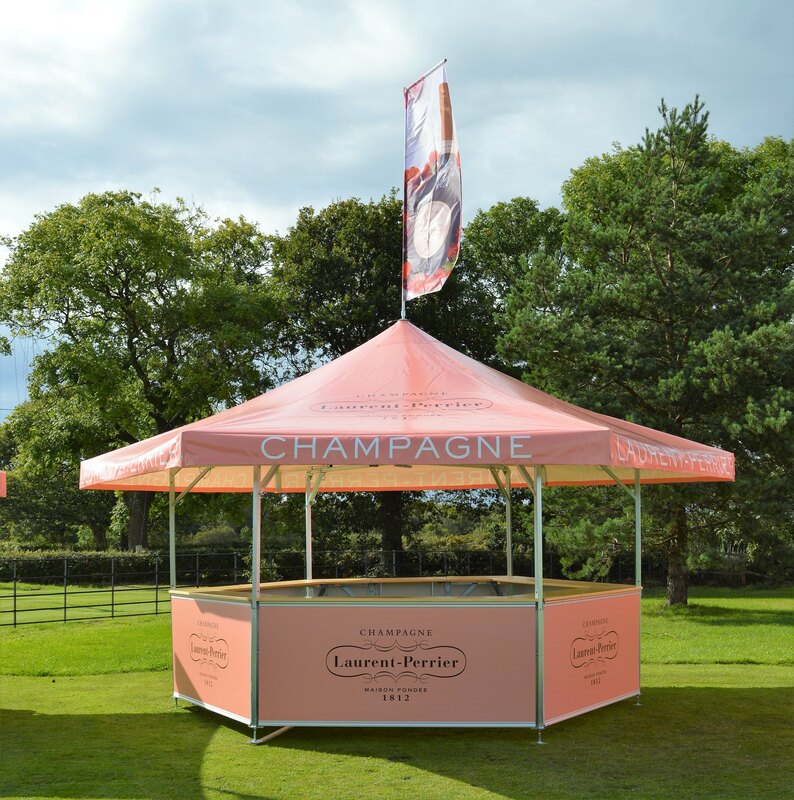 If you are looking for a versatile portable outdoor event bar solution for an event, festival, racecourse, open-air or indoor occasions, then maybe one of our Pavilions is what you need. 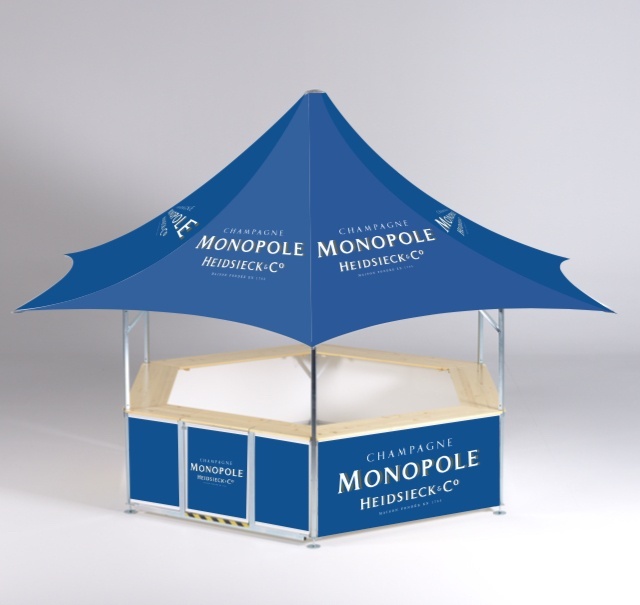 Take a look at the individual product pages (Star, Octagonal, Hexagonal & Square) for further details on their individual specifications and Contact Us today to discuss your requirements and we will recommend the best solution from our our range of Event, Mobile & Stadia Bars to match your budget and expectations.